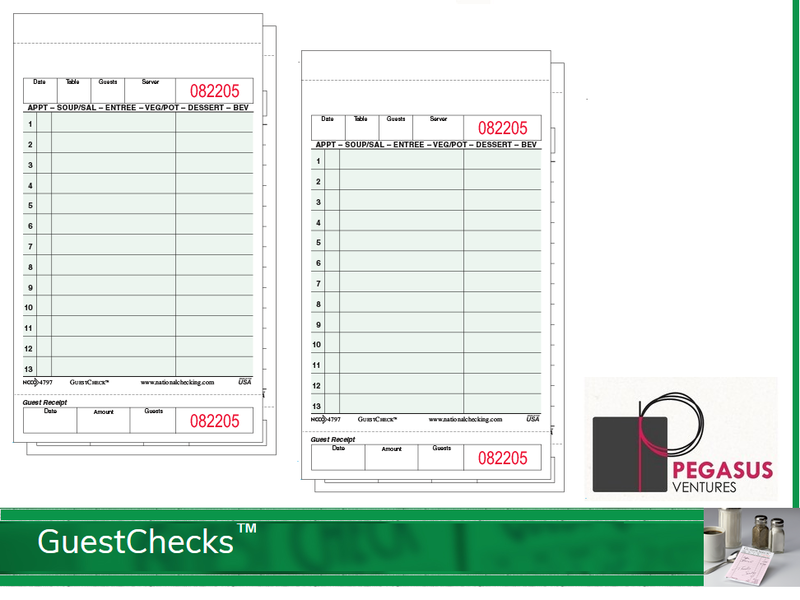 From National Checking Company our G4797SP medium-wide two-part carbonless guest checks feature a paper top copy and duplicate cardboard copy. The duplicate cardboard copy is created without needing a carbon insert. 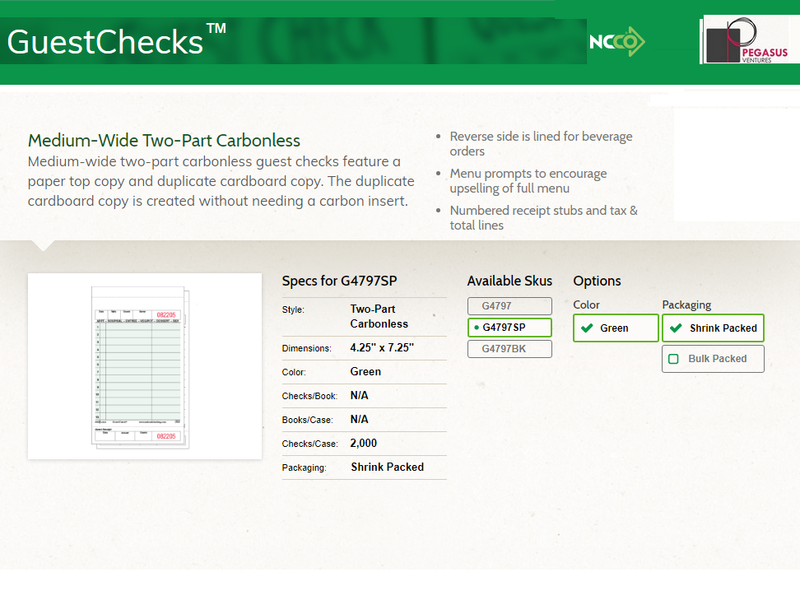 The G4797SP also features a reverse side lined for beverage orders along with menu prompts to encourage upselling of your full menu as well as numbered receipt stubs and tax & total lines. 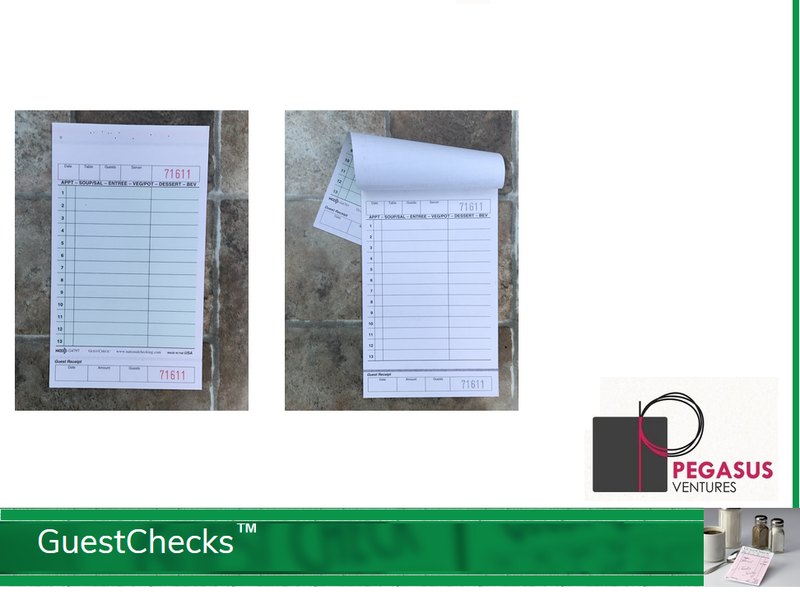 The G4797SP restaurant guest checks come shrink wrap packed in cases of 2,000 loose guest checks that are not booked or padded. 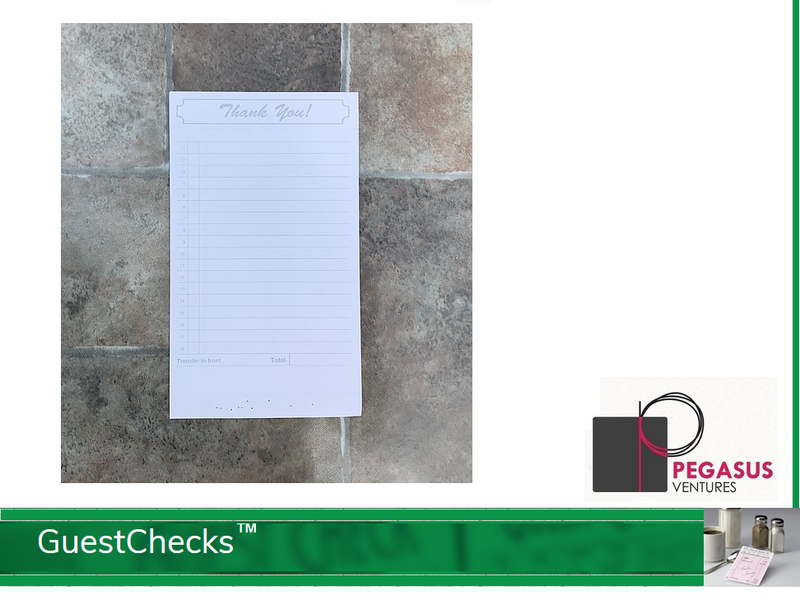 Need a guest check holder or presenter for the G4797SP National Checking Guest Checks? The AL-75 fits great! The AL-75 GuestCheckâ„¢ presentation holder features pockets for storing credit card, change and receipt. 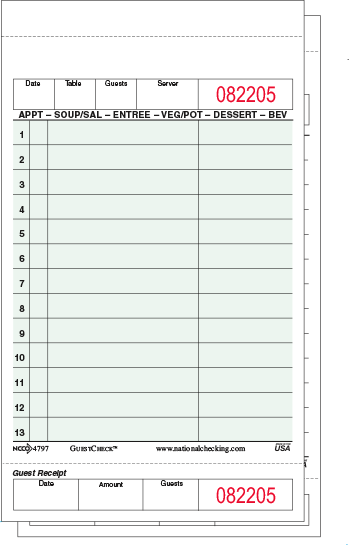 Holds waiter pads up to 5" x 9.5". 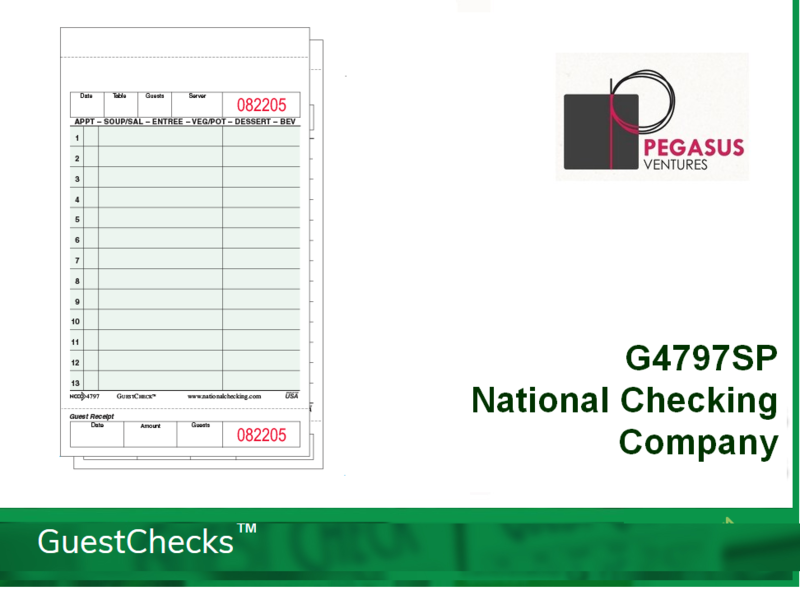 The G4797SP restaurant guest checks from National Checking Company are always in stock and ready to ship to your restaurant, catering business, institutional kitchen and, of course, your home.